We will be focusing on the castration campaign in the covered in red area that appears on the map in the weeks following June 19th, 2017. Only with combined efforts can we actually reduce the number of stray animals suffering daily on the streets. This is why if you live in the said area or happen to know someone who can assist us with the finding/catching of separate cats or guide us to a place where they gather or happens to be feeding them – please, get in touch with us. Only together can we really help them! Our June Castration Campaign is Over and a Huge Success! Dear friends, we would like to thank you and to praise you for being so active! 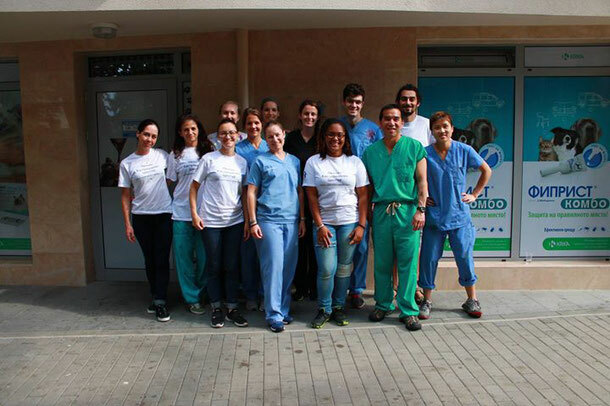 During our 6 week castration campaign with the University of Cornell, USA, we fixed 147 cats and 57 dogs, mostly female. This was all thanks to YOU and YOUR constant efforts to eliminate together the suffering on the streets of our beloved city of Plovdiv! Thank you, you are the best! 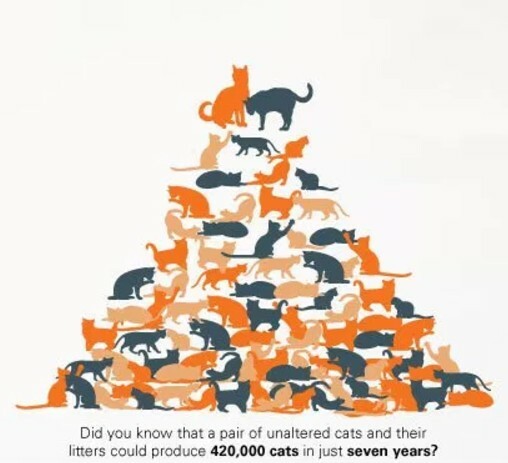 How Can You Save 100 Stray Animals? By Castrating One. 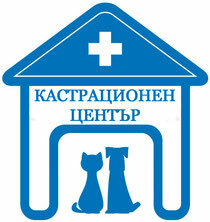 The castration campaign of stray animals in Plovdiv starts on June 7th. 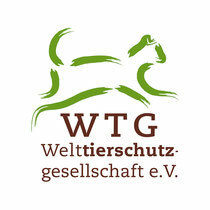 A team of veterinarians from the USA will be our guests. Veterinarians from one of the most renown universities in the USA will be visiting the City under the Hills for the first time at our invitation. Doctor Maza, who has been involved in a number of castration programs all over the world and is a professor of veterinary medicine, from the University of Cornwall will be our guest in Plovdiv from June 7th to June 13th. We have the ambitious goal of castrating between 200 and 250 animals in just 6 days. Dr. Maza’s team was left with an excellent impression of Bulgaria at a similar campaign, held 2 years ago in Sofia. This is why he decided to return to our country in June 2017 with the hope of spreading the idea that castration is the only way of generally decreasing the population of unwanted stray animals. The castration is a routine medical intervention which puts an end to the animals’ ability to bear offsprings. The operation takes up between 5 and 15 minutes and is carried out according to the most humane and advanced contemporary methods. 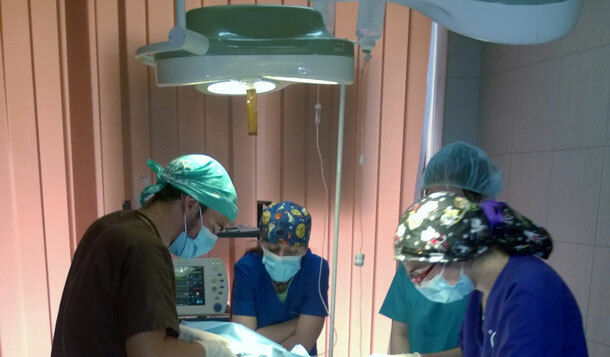 Dr. Maza’s team has participated in tens of thousands of castrations around the world. You can contact us in Plovdiv by calling telephone number 032 207 379 (every work day between 14:00 p.m. and 16:00 p.m.) in order to make an appointment. When and Where Will the Castration Campaign be Carried Out? The castration campaign will be carried out 7th through 9th of June and 11th through 13th of June at the German Castration Center which is located in the city of Plovdiv, Hashovska No. 23 Str. We will be taking a break only on the 10th of June. Enrolling and making a preliminary appointment is extremely easy. People are listed according to the order of the made calls. Please, call 032 207 379 and appoint a specific hour within the campaign program. The castration is completely free. All expenses have been taken care of by the sponsor organization. Yes, but people have to check when will we be castrating in their specific living area. According to Which Terms are the Animals Considered Viable for Castration? Call us at 032 207 379 in order to make an appointment and discuss whether the stray animal meets the conditions. Do you Castrate Only in Plovdiv? 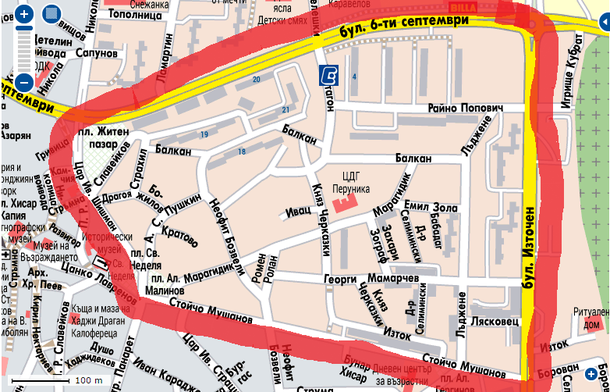 Yes, the Castration Center is in Plovdiv and the campaign is valid only for the city. What kind of experience do the veterinarians have? Our residential physicians have many years of experience and specialization. Our visiting American colleagues are from Cornwall – one of the most renown and prestigious universities in the USA. They are known for their awards in veterinary medicine training. Also, the materials we utilize are of the highest quality and are fully in compliance with contemporary standards. How Long After the Castration Can I Take the Animal Back On the Street? If you have the ability to keep it for several days for supervision in your home – that would be great. If you do not have this opportunity – you can set it free as soon as you take it from the clinic. We will be focusing on the castration campaign in the covered in red area that appears on the map in the weeks following May 8th, 2017. Only with combined efforts can we actually reduce the number of stray animals suffering daily on the streets. This is why if you live in the said area or happen to know someone who can assist us with the finding/catching of separate cats or guide us to a place where they gather or happens to be feeding them – please, get in touch with us. Only together can we really help them!